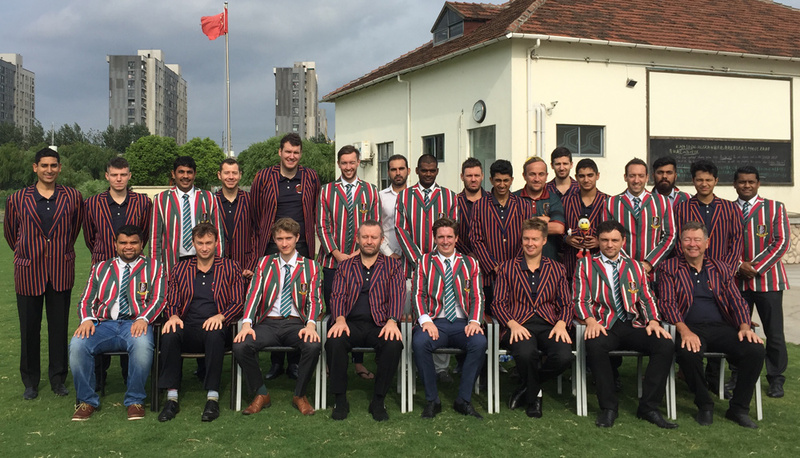 The Shanghai Cricket Club lost by 26 runs to Hong Kong CC in a well contested Bokhara Bell Interport match at the Shanghai Community Sports Club. 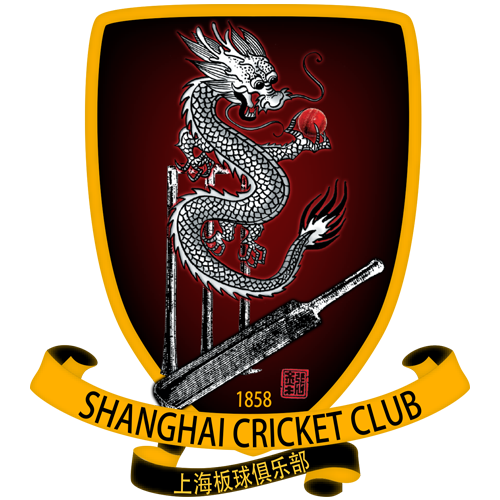 Hong Kong’s superior fielding and early inroads with the new ball ultimately proved to be the difference between the sides, although Shanghai put up a fight to the very end and at one point during the run chase were arguably favourites for victory. Following a minute’s silence in memory of a recently passed away Hong Kong CC member, the visitors batted first. The opening pair started scratchily, being tested by the swing of Akerkar and Krishnan, but a string of dropped chances coupled with the odd loose delivery allowed Varley and Watkins to get their eyes in and slowly build a partnership. Watkins survived a huge leg before shout from Atkinson, leaving the Shanghai fielders questioning exactly what part of middle stump the ball was missing and begrudgingly having to accept that it is not customary for a batsman to walk for an lbw. Varley was particularly harsh on the leg-spin of Khan as the innings approached the halfway point, and at drinks Hong Kong had reached 90 without loss and looked set for a big score. However, the break was just what Shanghai needed, the home team striking twice almost immediately after play resumed, with Akerkar removing Varley (34) and Watkins (54) in quick succession. The Shanghai seamer then struck again, dismissing Hedley for a duck, forcing Hong Kong to rebuild in the shape of Dickie and 14-year-old Sheopri. The pair played watchfully against the left-arm spin of Hopkins and the medium-pace of Tsesmelis, the two bowled tightly and got through their overs quickly. Sheopri was particularly impressive for a batsman of such a young age, moving around the crease nicely and playing some well-improvised shots to finish 36*. Dickie (31) fell late on to Tsesmelis, leaving Buckley (4*) the other not out man as the innings closed on 180-4 following a well-bowled final over from Krishnan. Akerkar was the pick of the Shanghai bowlers, finishing with figures of 3-19 from his eight overs. In the reply, Kumar and Kett opened the batting for Shanghai, taking six off the first over from a rusty-looking Marriot. The tall seamer soon found his rhythm though, removing Kett (5), Tsesmelis (0) and Kumar (10) to leave the home side rocking at 21-3. When skipper Wright fell to Brookes for 6, Shanghai looked in serious trouble at 32-4, but managed to fight back nicely through Achrekar and Krishnan. The pair put on 71 for the fifth wicket, playing sensibly against the Hong Kong spinners, including off-spinner Buckley, formerly of Durham CCC. Achrekar (38) fell well caught at slip by Buckley off Sheopri to bring Khan to the crease, who played positively for 22 before also falling to the combination of Buckley and Sheopri, this time the youngster taking the catch at backward square-leg. When Krirshan went stumped to Sheopri for 32, it was very much advantage Hong Kong. Perumal then quickly followed caught behind for 5 off Shuklar, before Brookes removed Atkinson (4) and Akerkar (0) in successive balls to seal victory. A deserved win for Hong Kong who were more consistent on the day, but a good performance from Shanghai nonetheless and another memorable match between these two great clubs. Just seen this, David! Thanks! Hope you’re well!